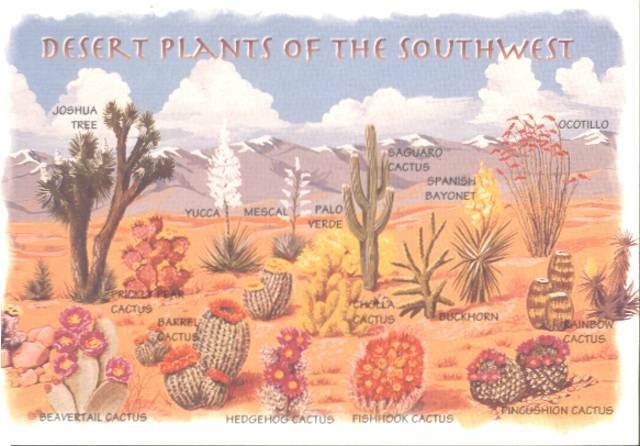 The Joshua Tree is one of the most spetacular botanical features of the southwestern desert. Belonging to Agave family. 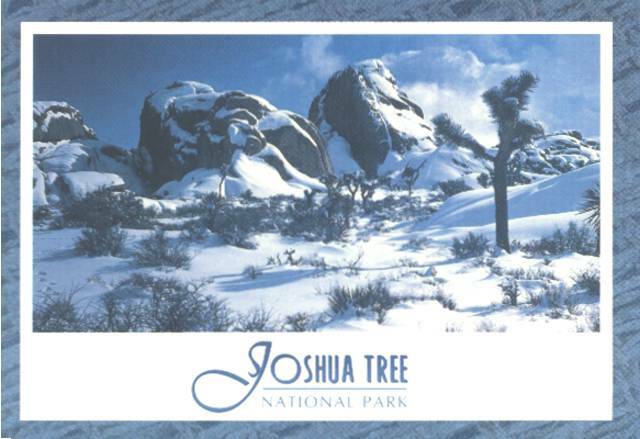 The Joshua Tree attains heights of up yo 40 feet and it's cream-white blossoms grow in clusters 8 to 14 inches long. 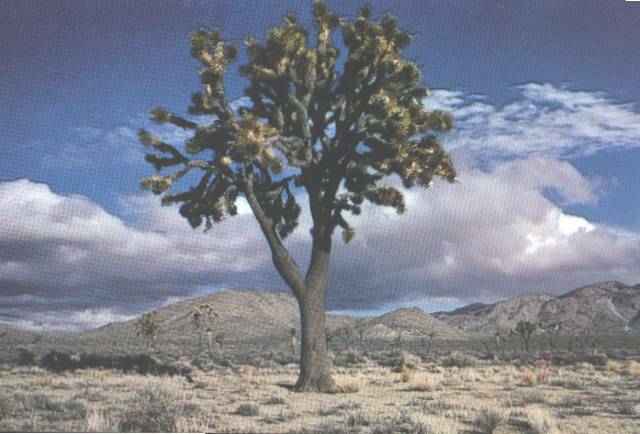 The Joshua Tree (giant yucca or "praying plant" was named by the Mormons because of the up-stretched "arms." The trunk has no annual rings; therefore, it is impossible to determine their age. Nothing is more picturesque than fresh white snow covering the high desert. Scenes like this do not occur very frequently and the snow never lasts long, but it is beautiful to behold. 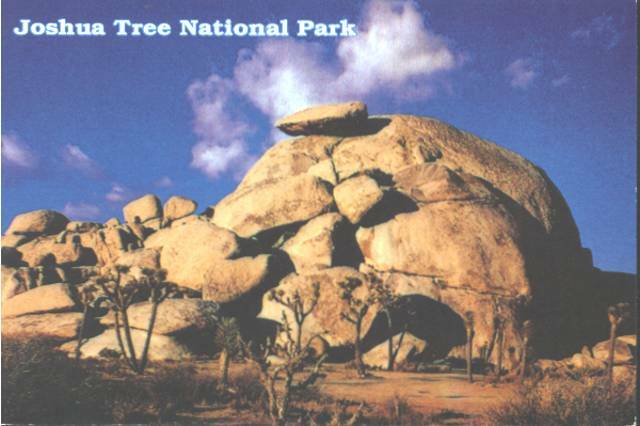 These unusual and picturesque rock formations amid the Joshua Trees and Yuccas add greatly to the beauty to the Monument. 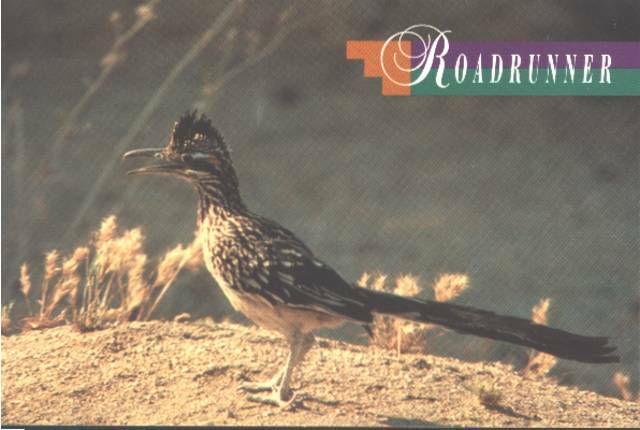 The Roadrunner is a picturesque bird frequently seen on the Western deserts. 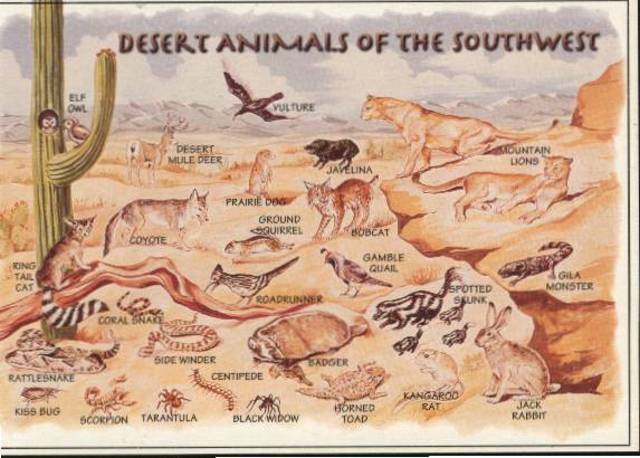 He is a very fast runner and feeds on desert insects, lizards, etc. He is usually about 21 inches long and would rather run than fly. 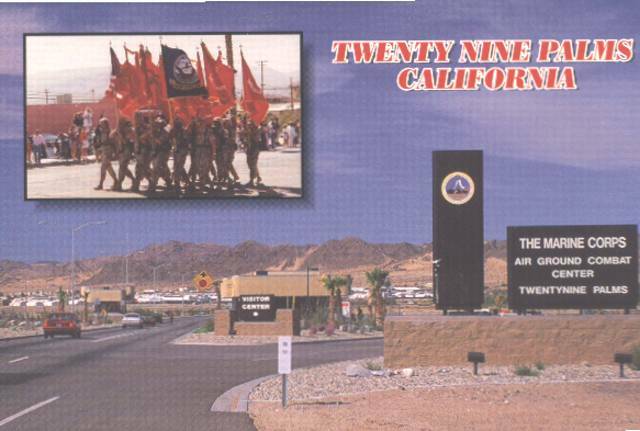 Located just west of Palm Springs on I-10, Cabazon is home to the world famous dinosaurs sculpted by the late Claude K. Bell. 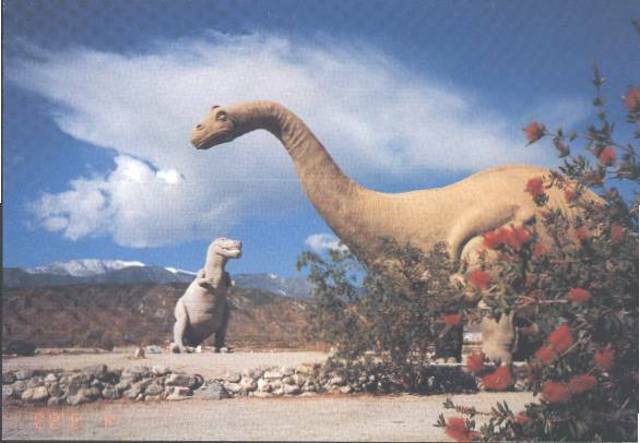 The Apatosaurus and Tyrannosaurus Rex structures rise nearly 60 feet above the desert floor and havve been featured in numerous movies and commercials. The Science and Nature Gift Shop is open to visitors all year long. The Bob Hope Chrysler Classic and The Nabisco-Dinah Shore L.P.G.A. 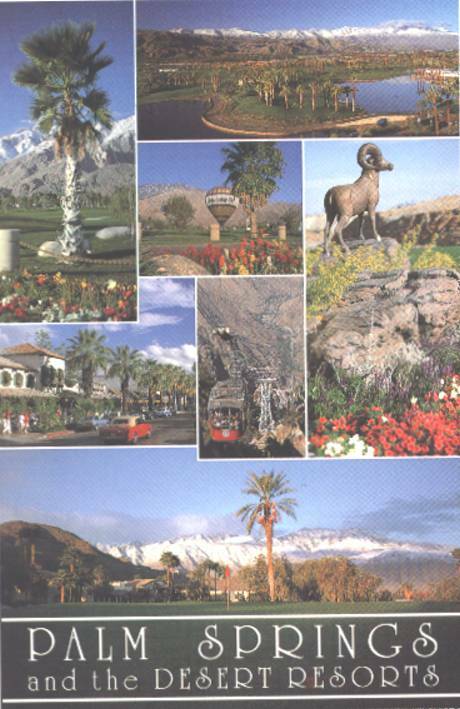 are but two of the many golf tournaments held in the Palm Springs area. 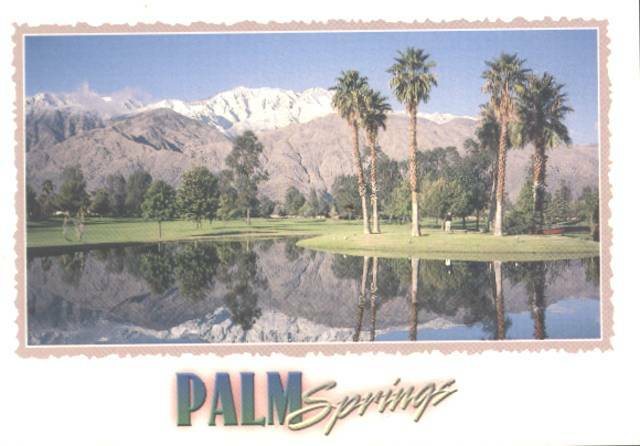 Top names in the business, professional sports and entertainment worlds play in the area, making Palm Springs the golf capital of the world.